Endorsed Manager – A platform built so candidates can talk directly to employers, schedule interviews and receive job offers. To redesign the recruiters dashboard. 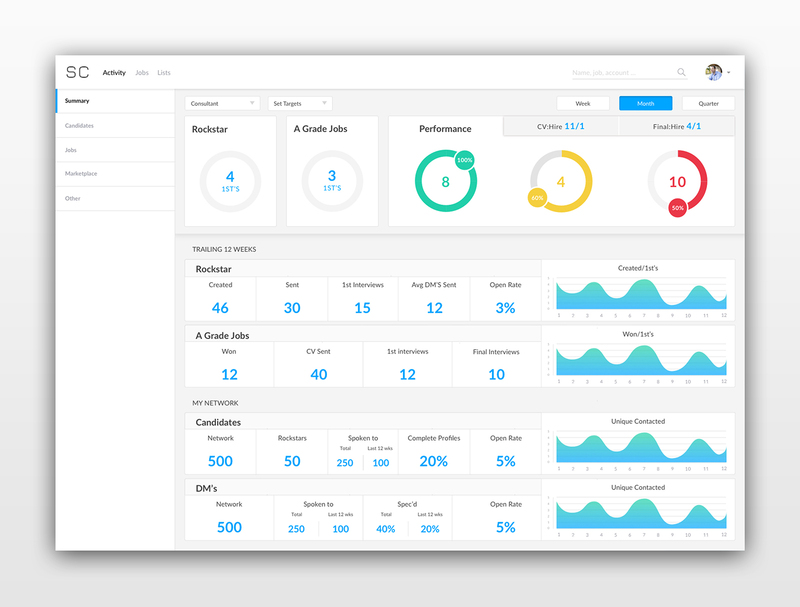 This dashboard allows recruiters to see if they are meeting their targets. It also shows a breakdown of the candidates they have interviewed and placed.